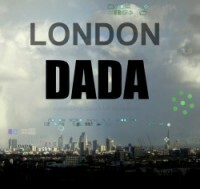 Leaflet distributed at London 2012. 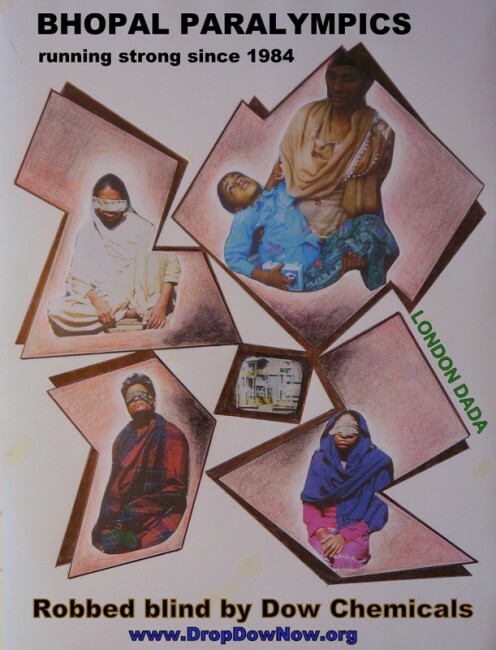 A5 leaflet x print run of 10,000, distributed at London 2012 protesting at the awarding of the major sponsorship deal for the Games to Dow Chemicals – deemed officially responsible for the corporate manslaughter of upwards of 5,000 inhabitants of Bhopal in a single night in 1984, by criminal negligence in failing to maintain basic safety at its Union Carbide chemical plant. Continuing on to this day, the company is lamentably negligent in its responsibility of care towards the 50,000 stricken survivors of this, the world’s worst industrial accident, in failing to provide for their basic health and sanitation needs. Lord Coe, then chairman of the Olympic Committee, ran a mile in record time from a challenge to drink a bottle of Bhopal tap water.